Thank you for your interest in possibly having one of our pastors officiate at your wedding! We would count it a privilege to serve you by performing your wedding ceremony! We will help you create a beautiful ceremony that is both meaningful and memorable - uniquely designed to fit who you are as a couple! 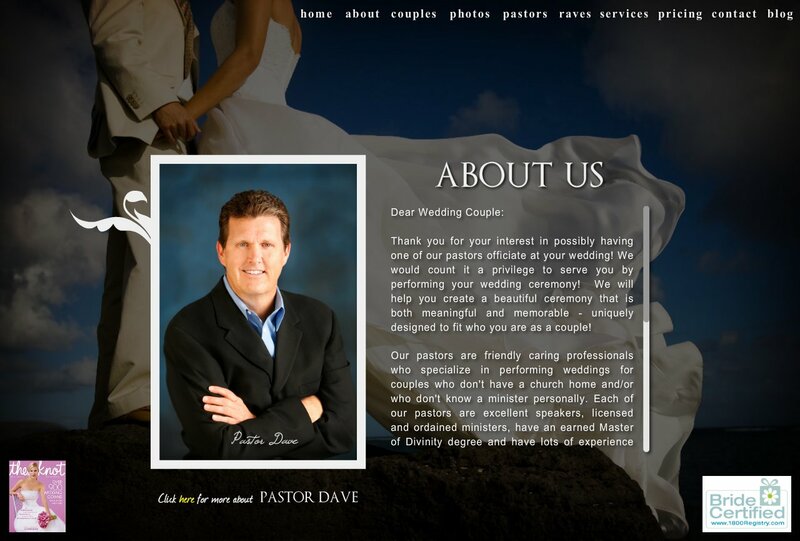 Our pastors are friendly caring professionals who specialize in performing weddings for couples who don't have a church home and/or who don't know a minister personally. Each of our pastors are excellent speakers, licensed and ordained ministers, have an earned Master of Divinity degree and have lots of experience performing weddings. We really enjoy meeting new couples and getting to know them, their family and friends. We perform weddings in Los Angeles, Ventura and Santa Barbara counties. We would count it a privilege and joy to be a part of the biggest day of your life by performing your wedding ceremony!